Mayor Curtis Hardwick violated a city ordinance by over-billing around 1,100 city of Columbia gas customers for an estimated total of $100,000 over a 13-month span. The overcharge occurred from June 2015 to July 2016, according to an audit report presented Tuesday night at the monthly city council meeting. The city is charged an excess transportation fee from the gas provider if it doesn’t purchase a minimum amount of gas each month. The city was only charged for a few instances, but the city continued to bill its gas customers the excess fee every month over a 13-month period. Hardwick said he instructed a gas department employee to continue adding the fee to the monthly bill, which is a violation of the city’s ordinance that regulates how gas customers are charged. The city discussed a plan to pay back the overcharge, but the plan includes paying current customers, not people who were on the city’s gas services when the fee was charged. People who paid the fee who are not longer city gas customers could lose around $94 on average. The complete story is in this week’s edition of the Community Voice, available in stores and racks Wednesday afternoon. 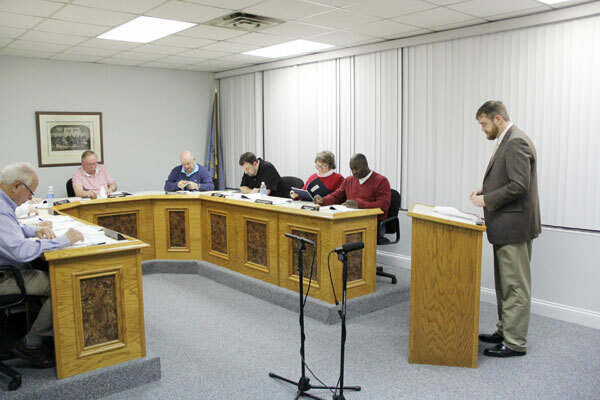 The Columbia City Council hears from auditor Brent Billingsley.